You are currently browsing the tag archive for the ‘bookstores’ tag. I haven’t posted an update on the book end (no pun intended) of the business in a while. It’s been going very well and growing along with the rest. I have almost 300 books listed on Alibris and have been selling about three or four books a week. I’ve also found a couple great sources for books so things are going great! I’ve also been posting vintage books on Etsy regularly and have some great finds that I haven’t even gotten to yet. There are four boxes of books in my office that need to be sorted and listed to one site or the other or both! In 2011, I celebrated my daughter’s first birthday, settled into our first house, learned to make jelly, started selling used books, planted a garden, worked in a restaurant, an ice cream parlor, and a bookstore, tried managing a restaurant only to discover I really don’t want to work in the restaurant industry at all, I learned what the word “terrior” means, I received a certificate in Web Design and started the advanced certificate, I made salsa from green tomatoes and how to cook celeriac, I traveled to Fairfield, IA and learned that the way I want to live is possible, and perhaps most monumentally I registered Ellipsis Books and More as a business, making me a small business owner! Yes, it is still all online, but it’s doing so well! I am so happy with all my progress. The year 2011 was such an important year in my life because I figured out what I want to be and what I want to do and I am honestly on a path that could lead me to a place where I feel successful. So with 2012 now upon us, what will I do? Well I will set up the greenhouse and make it into a little paradise of orchids, spices, and a dwarf citrus tree. 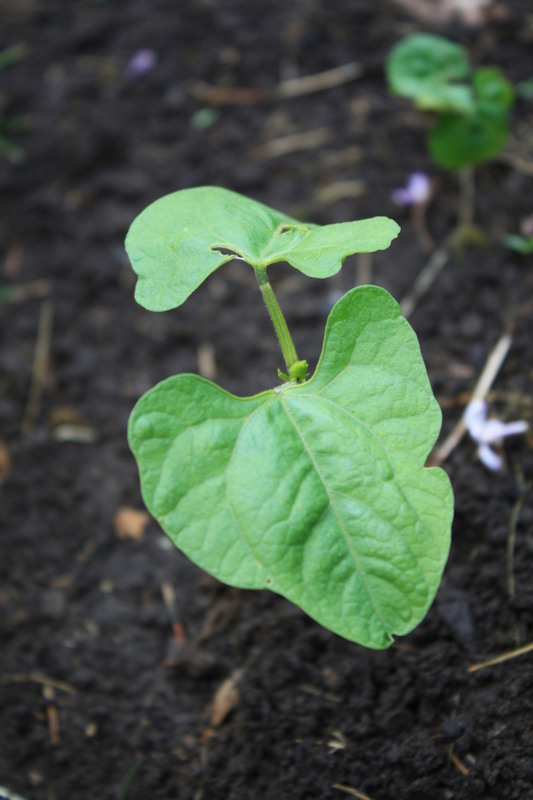 I will plant a garden full of heirloom seeds and nearly extinct varieties. Using vertical techniques and forest gardening, I will create a biologically diverse and extremely productive micro-ecosystem in my backyard. My kitchen will become a testing ground for food preservation and organic cooking. Ellipsis will grow into the physical realm, through consignment. And I will take a vacation! A real vacation to somewhere exotic. Bring on the new year! I am ready and willing and I will blog all the way through. It was Summer last time I posted and now it is Fall! How time flies when progress is being made. My cabinet is bursting with dried herbs, tea blends, and canned jellies, jams, and pickles. I’ve designed Ellipsis’s new logo and ordered labels for all the teas and jellies. Also I’ve acquired quite a large backlog of books! New ones, old ones, good ones, better ones and they all have to be cataloged! So things are moving along. Of course they would move along a lot faster if there was more money, but alas things are as they are. There are some other very exciting developments happening, involving a book club and Etsy. Of course all good things come to those who wait patiently . . . right? Well yes, but of course there is always hard work involved. Check out Alibris for new books I am adding all the time! It’s been a while since I’ve posted. I’ve been hard at work remaking the Ellipsis logo to embody the mission statement, drying herbs, canning jelly and jam, and experimenting with baked goods. The most exciting thing I’ve canned up is lavender jelly. It’s a beautiful pink color. There is something magical about jelly. I paired it with clotted cream and vanilla bean scones. Add a cup of tea and it’s perfection. The photo below shows the pink lavender jelly and the dark purple black raspberry jam on the vanilla bean scones with clotted cream. 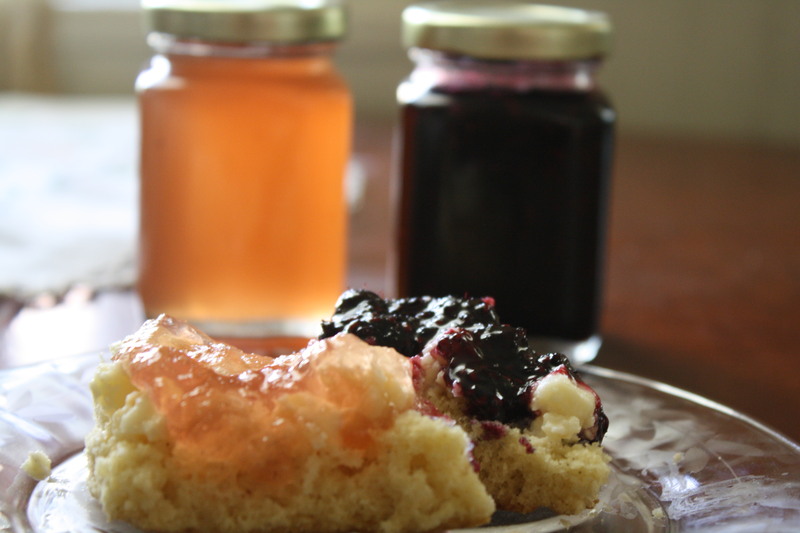 I still have plans for a borage mint jelly, a cherry jam, and a Queen Anne’s Lace jelly recipe I found that looks very intriguing. Also I dried some mint to make a mint tea and I’m coming up with a summer blend that I think will be a delicious iced tea. So far I’ve been able to grow everything myself or acquire it locally. It’s a good feeling to support local businesses while being as self sustaining as possible. Soon I will have to figure out exactly what I’m doing for labels. The new logo is finished, but I’ve decided not to reveal it online until everything is ready to launch. There is also the issue of business licensing when selling food. I’m doing research on what Illinois requires. How are all of you working to live sustainable lives? I would love to hear about it. Also I’ve recently started selling my photography on Etsy to raise money toward Ellipsis. If you have any money to spare (the prints are $15 and $18) please help. The link to the Etsy shop is here. LED Photography will not be my only fundraiser. I’m also working on and Indie Go Go campaign that should be very exciting! Keep an eye out for different ways to help. I know money is tight for everyone, but I really appreciate any support. This business idea means the world to me. Another great way you could help me out is if you have any books you no longer want/need. I need to increase my stock by . . . a lot. If you have any unwanted/unneeded books please let me know. A donation of books would be wonderful, but I will also buy them from you if you would like. And a third way is to give me access to your gardens. I need herbs, fruits, and vegetables to make my teas, jams, and baked goods. And of course I need guinea pigs to try these things! And spread the word! I don’t know where we are going to end up at this point, but I’m only giving the job search two more months before I just make a decision and start this thing. If you know anyone who would have any interest in this type of business in any way, please let them know I am working to get it started and all support is appreciated. Thank you so much for the support I’ve already been given in all sorts of ways! Enjoy your day! Summer is fleeting . . .
As summer progresses we see things come and go. Flower and fruit, fruit and flower and we have to consider what to call progress. Some things such as raspberries flower and then fruit, others like broccoli, flower when it’s too late. Interesting isn’t it, how things work? All the rain from the last couple of days is working wonders for the garden. It seems like the plants tapped into some underground source of energy and just grew like crazy. The banana mint is doing wonderful. We are thinking of a strawberry banana tea with dried fruits and banana mint making up the base. Also can’t wait for the peppermint to come up. Mint teas are amazingly relaxing and a perfect companion to most books. Harvested lettuce and spinach mustard yesterday. Made a salad with the lettuces today for lunch. Yum yum. Trying to think of something extra creative for the mustard. The goals for this week: continue to flesh out the Ellipsis business plan, weed, eat healthy foods, above all: be productive and go forward. By the way, we’ve discovered Sundance Channel’s Big Ideas. 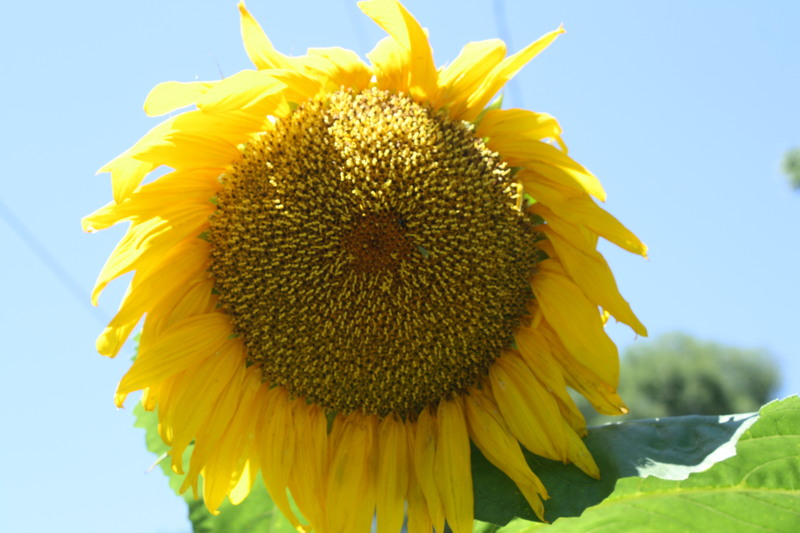 It is a fantastic series on sustainable living is all sorts of facets of life. The episode on business is amazing. There are all sorts of practical and smart ways to enforce a triple bottom line, People, Planet, Profit. Things from recycled glass counter tops to recycled blue jean insulation to reclaimed wood tables are all possible and all make so much more sense than the current business model of consume to make money and consume more. A singular business model where only a few are benefiting is a dying concept. The changes happening every day, everywhere are brilliant. Check out Big Ideas: http://www.sundancechannel.com/big-ideas/. Or it’s on Netflix instant. It’s a hot one in Galena today! We have basil, stevia, eggplant, and corn to plant, but man is it going to be a sweaty, dirty job today . . . Soon we will post pics of our herb garden, it’s getting to be quite nice. We can’t wait until it’s flourishing and we can harvest for tea making, especially the peppermint and ginseng. In other news, the greenhouse base is almost complete. Today we will put screw it together and attach the floorplates and weight it down. Pics will be posted! So excited to grow our camelia sinensis! Also we are looking into dwarf citrus trees. Lemon and orange peal are wonderful additions to teas. Slowly we will build up a supply of spice trees and bushes, vanilla orchids, and hibiscus to have the best selection of teas. The book business is also going well. We are always acquiring used and vintage books. Of course we are always looking for self-published authors as well. Remember to check out our online store at ellipsis.alibrisstore.com periodically for new additions. Aside from lovely vegetables and herbs we also have some beautiful flowers around the property. 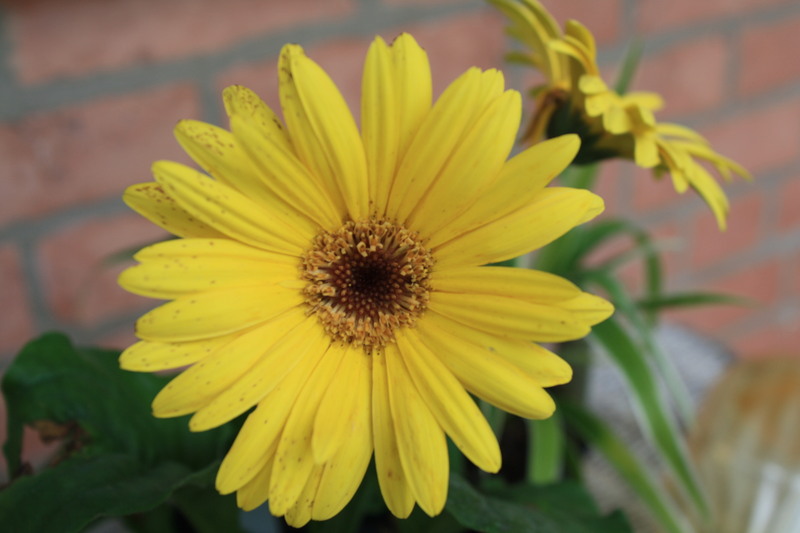 Here is a yellow gerbera daisy on the front step. It’s true. Remember those little lettuces from last week? Well look at them now. All the rain we’ve been getting however dreary it is, really helps out our little plants. We’re going to have to thin them out so they have room to become nice big heads of lettuce, but it’s going to be so sad to pull them up! Also the broccoli and cauliflower are doing wonderful. 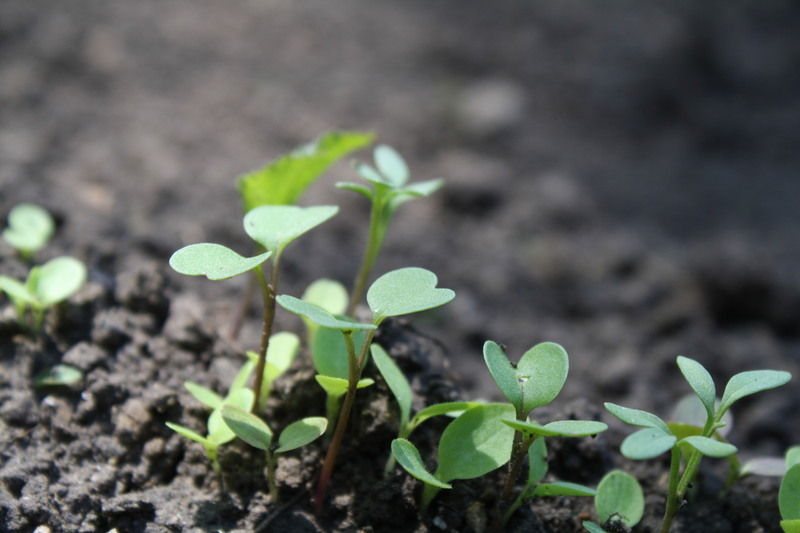 Little tiny broccolis are already starting to form. We also have beans and peas coming up faster than expected. The trellis for them needs to go up later today if it’s not raining too hard. These just popped right up! In other news, the wood for the greenhouse base has been delivered, and we’ve managed to borrow a saw. So pending the purchase of galvanized deck screws we should have the greenhouse up within a week or so. Then the camilia sinensis will be started as well as some dwarf citrus, bergamot, and hibiscus. 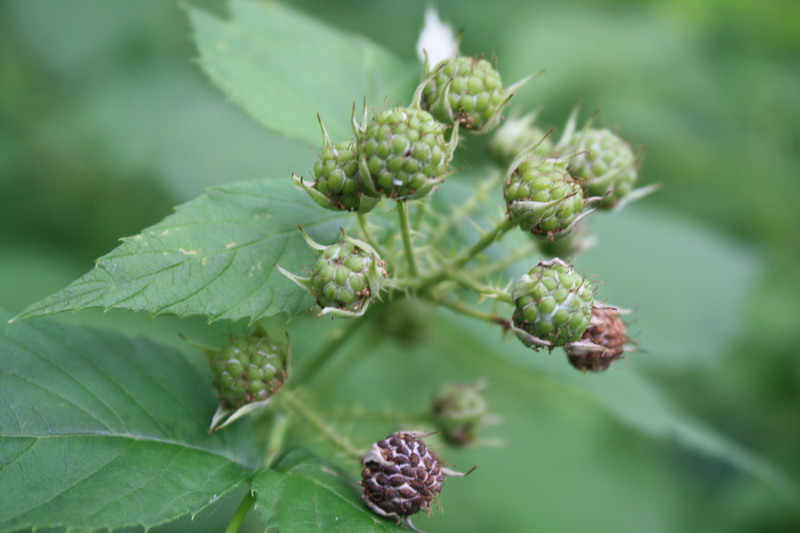 The raspberry bushes on the property may bloom and fruit as well. 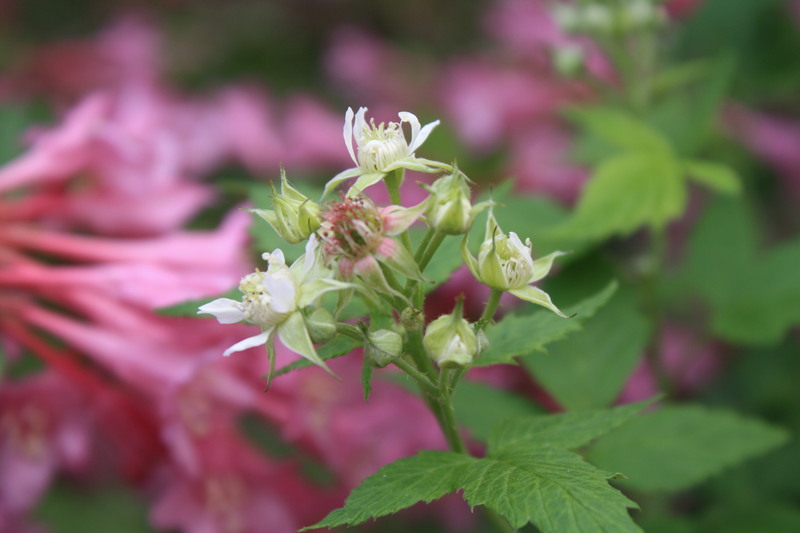 I discovered these blossoms in the raspberry bush that is growing inside one of our flowering shrubs. Very soon we will be planting the root vegetables and corn. The corn bed will have to be de-rocked as it needs a lot of open soil for its roots. 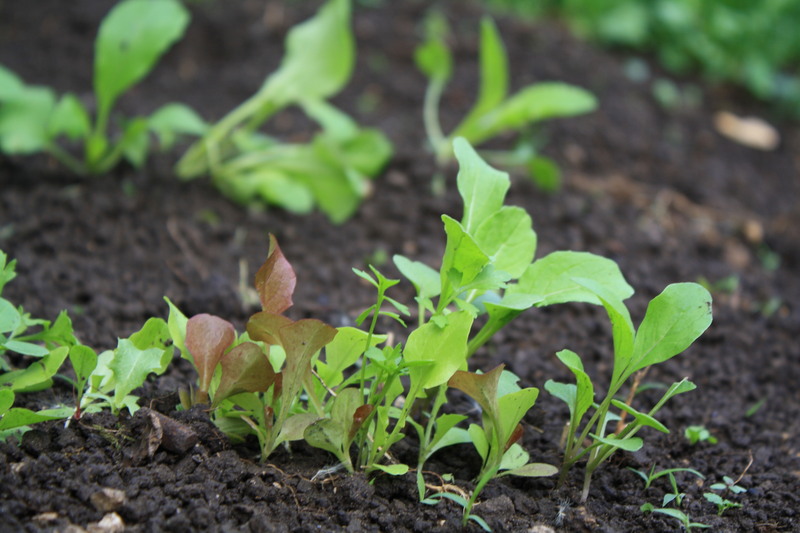 The root vegetable bed is less rocky so it shouldn’t be too much of a chore to do. And also we will be repotting the tomato and pepper seedlings as they are not ready to go outside but outgrowing their little peat moss pellets. We will post pics! The business timeline for Ellipsis is as follows. Soon we will be growing tea plants and blending loose teas. We also plan to package little cotton muslin reusable bags with each tin of tea. Perhaps we will sell vintage book and tea packages on Etsy and also we hope to sell tea with some of the shops in downtown Galena. First however we must learn to dry and make different types of tea for the best taste and health benefits. And of course we are continually working on our business plan and scouting out local resources. Have a wonderful day! It looks as though the sun is coming out in Galena. I hope you see the sun today as well! At Ellipsis Books and More we love vintage books. Well mostly we love books. But we also love green living. Right now we sell used, vintage, and antiquarian books via http://ellipsis.alibrisstore.com/ (shameless plug). This blog will chronicle Ellipsis as it grows. We plan to become a completely sustainable, zero waste business. All of our practices and decisions will lead to this goal. 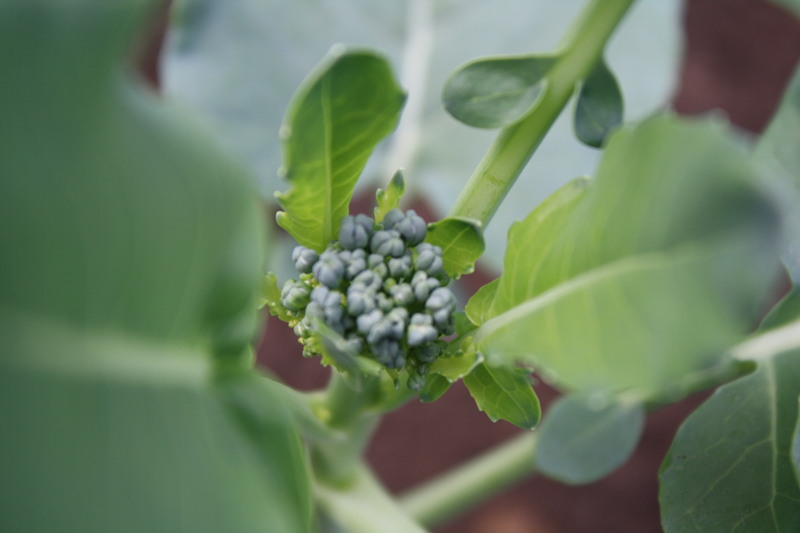 Our little broccolis are doing wonderful! Currently we are still in stage one: Online Store and Learning to Garden. Once our greenhouse goes up, we will start growing tea plants or Camelia Sinensis. This plant is where green, black, yellow, white, and oolong are derived from. We will also do herbal tea blends. Books and tea just go together. The physical Ellipsis store will house used and vintage books and a tea bar that will also feature local, in-season fruit juices, smoothies, and snacks. Our gardens are doing great. 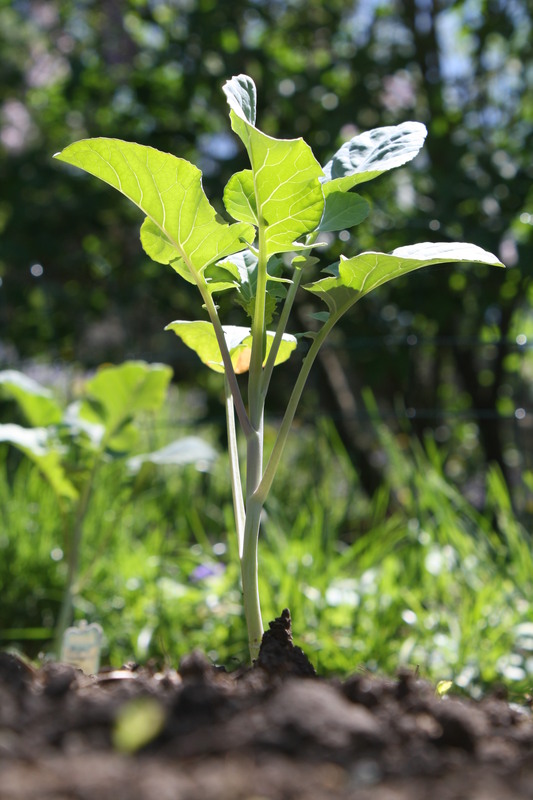 They are dug, tilled, and supplemented with biochar (an amazing natural supplement) The calendula, broccoli, cauliflower, lettuces, and spinach as well as our sunflowers and nasturtiums have all spouted and are looking good! We just wish the weather would decide on a direction. We went from 90 degree days to 36 degree nights within a week. So we’re afraid to plant anything else! Here’s to the future!